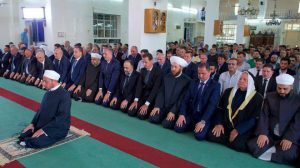 Damascus Countryside, SANA – President Bashar al-Assad performed on Friday Eid al-Adha prayers at Sayyedna Bilal Mosque in Qara city in Qalamoun in the province of Damascus Countryside. 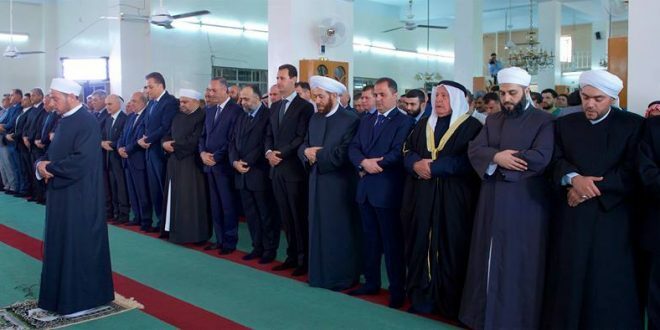 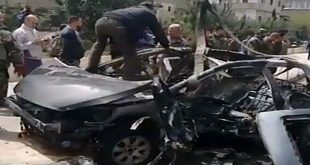 Minister of Awqaf (Religious Endowments) and Grand Mufti of the Republic also performed the prayers, along with a number of MPs and officials from Damascus Countryside, several clergymen and a crowd of citizens. 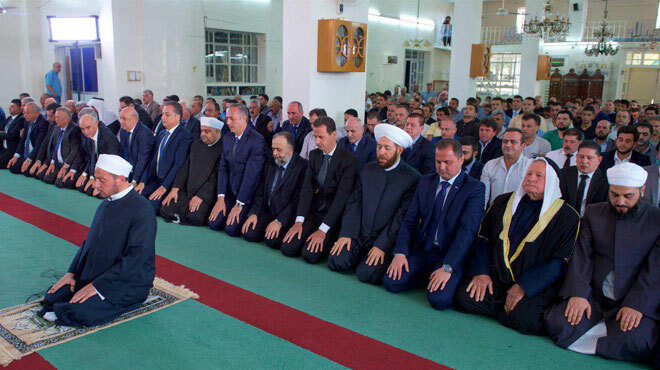 Sheikh Ma’moun al-Qadiri, who led the prayers, stressed in his sermon the sublime meanings of Hajj that no one should be prevented from performing, referring to the Saudi authorities’ preventing of Syrian pilgrims from performing Hajj for several years now. 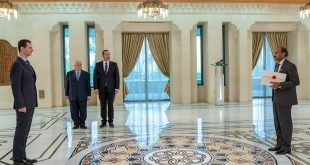 He highlighted the great sacrifices made by the Syrian army’s personnel in the course of protecting the homeland which have led to achieving victories. 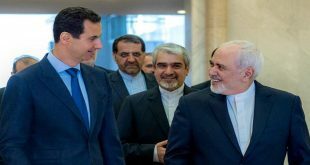 “Today, we say the Eid came back this year accompanied with a great victory for our army in Qalamoun, and this victory is crowned with your Excellency’s presence among your people in the Qara of Qalamoun,” he added.